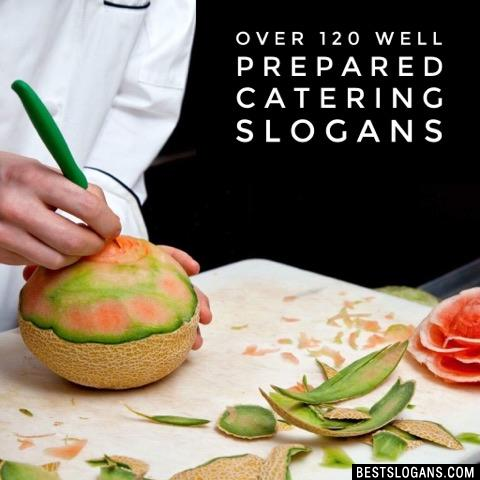 124 new entries added to catering slogans, that include pictures. 1. 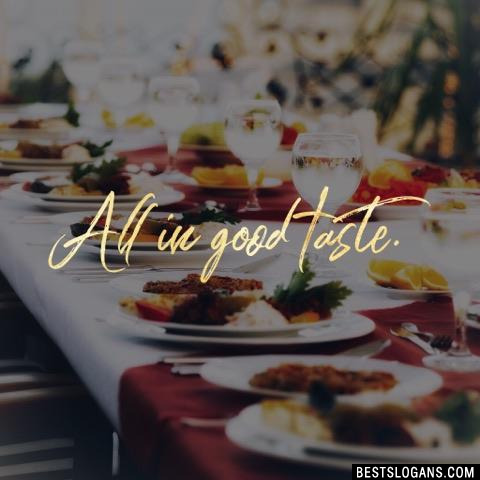 Wait until you see how your event tastes. 1 Wait until you see how your event tastes. 3 We don't just cater events. 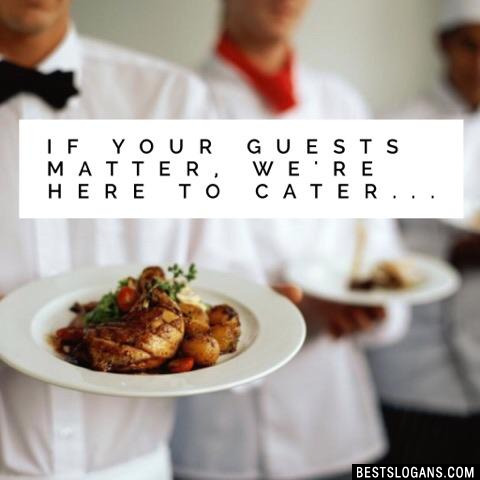 We cater to you. 4 You've tried the rest, now taste the best. 5 Custom menus for any budget. 8 Leave the meal to us. 9 We cater to your every need. 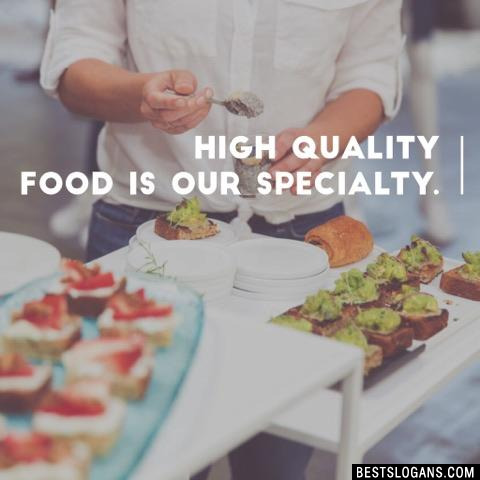 High-quality food is our specialty. 11 Food just got a whole lot better. 12 Toppings for your universe. 13 Satisfaction at first bite. 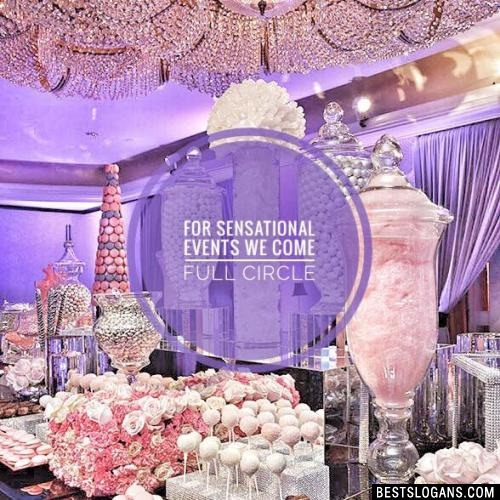 For Sensational Events We Come Full Circle. 16 Exquisite Food and Services For Your Venue Or Ours. Can you think of a good Catering Slogans we're missing? Or come up with a clever one of your own. Please share below.